Sheila Tubman sometimes wonders who she really is: the outgoing, witty, and capable Sheila the Great, or the secret Sheila, who's afraid of the dark, spiders, swimming, and dogs. When her family spends the summer in Tarrytown, Sheila has to face some of her worst fears. Not only does a dog come with the rented house, but her parents expect Sheila to take swimming lessons! S Sheila Tubman sometimes wonders who she really is: the outgoing, witty, and capable Sheila the Great, or the secret Sheila, who's afraid of the dark, spiders, swimming, and dogs. When her family spends the summer in Tarrytown, Sheila has to face some of her worst fears. Not only does a dog come with the rented house, but her parents expect Sheila to take swimming lessons! 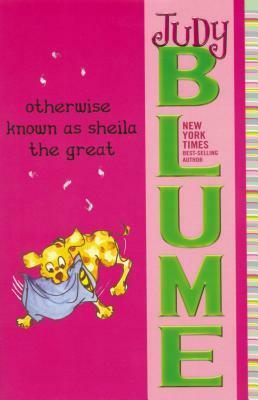 Sheila does her best to pretend she's an expert at everything, but she knows she isn't fooling her new best friend, Mouse Ellis, who happens to be a crackerjack swimmer and a dog lover. What will it take for Sheila to admit to the Tarrytown kids -- and to herself -- that she's only human?